Welcome to a brand new blog post! 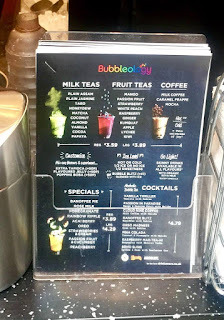 A couple of weeks ago, I was invited to Bubbleology within Trinity Leeds to try their amazing bubble teas and to find out more about the background of their cimpany and I thought that today I will talk to you guys about it all. We arrived in Leeds and made our way around to the infamous Trinity Leeds. We headed towards the Bubbleology store and was greeted by the manager of the branch. 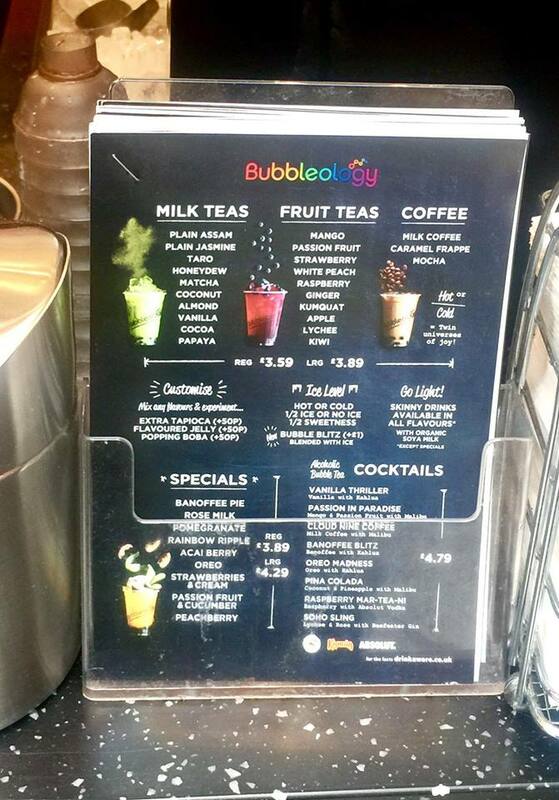 We talked about many things including the background of Bubbleology which started within Taiwan within the 80's. 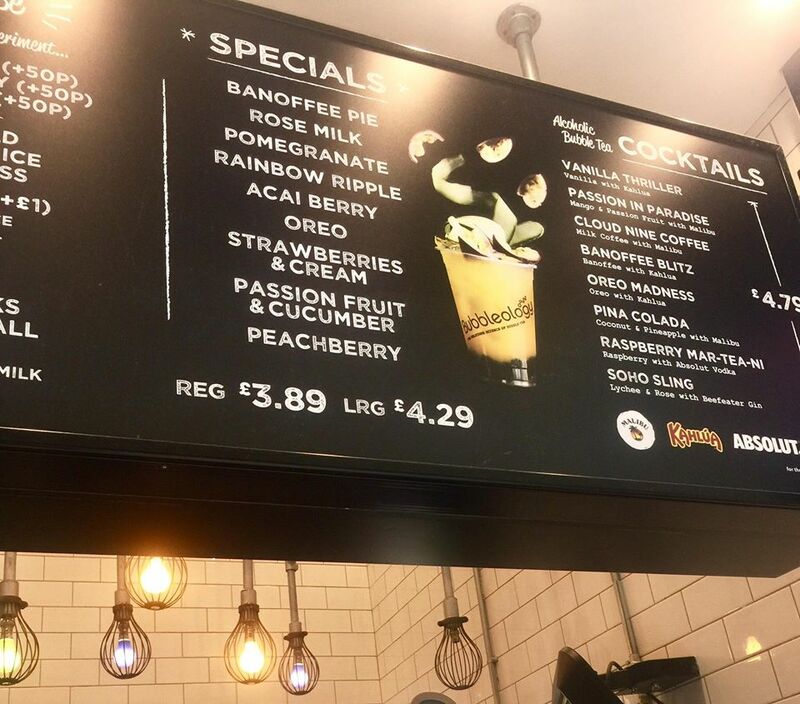 We also talked about things such as the managers favourite drink, what's the best thing about Leeds and how does the staff cope when Bubbleology is at it's most busiest time of the day. Her answers included Peach Berry, the people of Leeds and that everything (machinery wise) in the line of creating a product so the staff can easily get drinks made when its busy. Bubbleology also offer samples of their drinks at certain times of the day every day which is great for those who are tempted to try Bubbleology and aren't sure on what flavour of Bubble Tea they would like or for the regular customer who is in a rut with their choices and isn't sure what new drink they want. I ordered a Pina Colada Bubble Tea which is available as an non-alcoholic drink or an alcoholic drink at the Soho and Trinity Leeds branches via the addition of Malibu which sounds amazing especially on a warm Summers evening. I love the taste of Pina Coladas so I already knew that it was going to be great but it was excellent due to the texture contrasts of smooth liquid and gummy Tapioca Pearls. 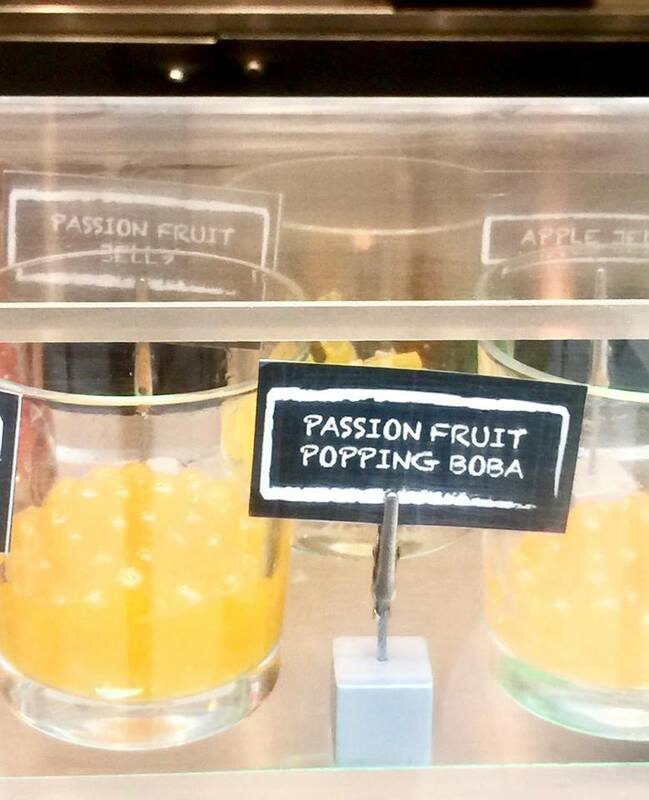 I also love the addition of the Popping Boba due to them instantly popping your mouth. I would definitely have this again whether it's non-alcoholic or alcoholic! We then talked about the new Summer Drinks before Luke ordered his drink. The new Summer Drinks are Strawberry and Banana which reminds me instantly of a Summer Smoothie especially when Banana can be used as dairy free cream/ice cubes when frozen and put into a blender when creating a zombie. I was hesitant on the sound of Passion Fruit and Cucumber mainly because the majority of Cucumber is well water but the manager reassured that it actually adds a freshness to the Passionfruit which I think sounds like a great drink for a Summer's picnic or a drink to have whilst catching up with friends in the Sunshine. Luke ordered a Peach Berry drink which as I stated earlier in the post is the managers favourite drink. Luke loves Berries and Peach so he instantly knew that he would love it and compared it to a take on a strong Liptons Peach Iced Tea which he loved. 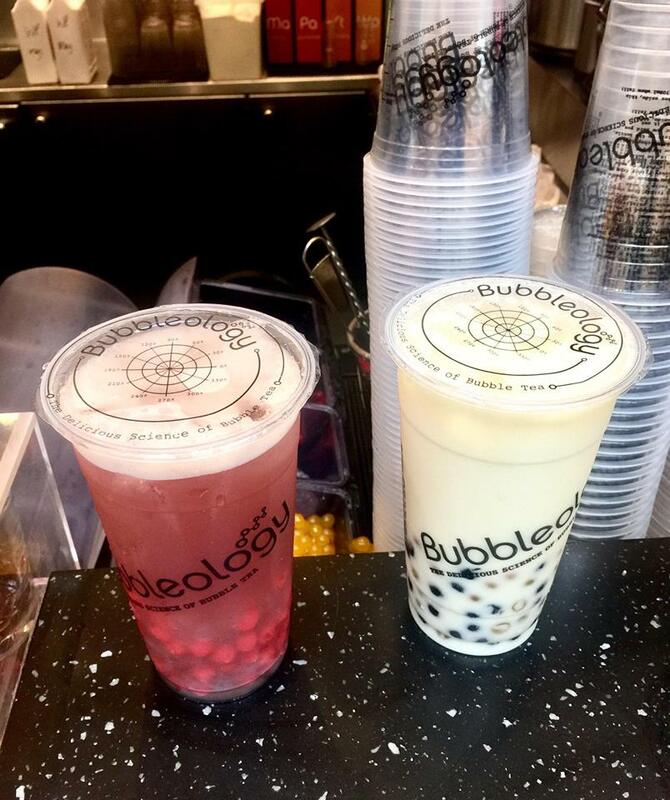 Bubbleology are also available to deliver to your door via UberEATS. What's your favourite drink flavour? Let me know down below! 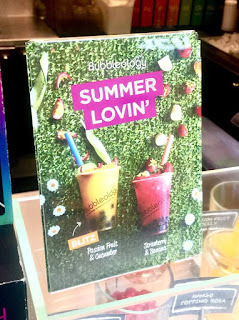 Thanks to the staff at Bubbleology for inviting me along to their Trinity Leeds store to find out more about Bubbleology and their amazing drinks. 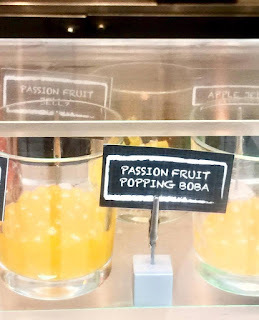 I hope that you've enjoyed this bubble tea based blog post and I hope that you come back next time for another blog post! 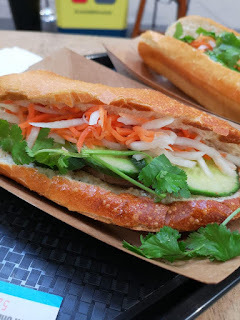 This blog post was in return of a review of this establishment. All opinions, views and ramblings are my own.